Mark Phillips' Pages: Workbook: 3/3/04: Lack of pollution. 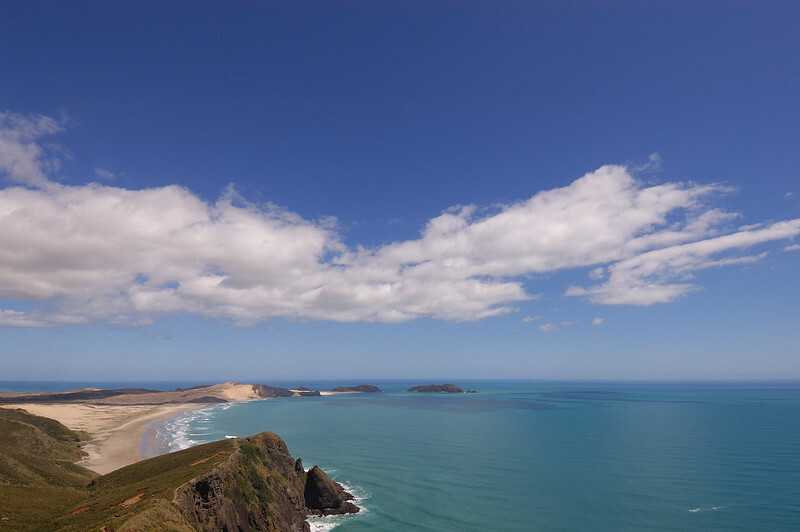 March 4, 2004, Cape Rienga, New Zealand. Lack of pollution. That this is the first place I've ever known where the world is clean. Even the rural outback of America is impacted. Lake Tahoe receives the drifting air pollution from the San Francisco Bay metropolis, while national treasures such as Yellowstone are threatened by acid rain and by right-wing ideologues in office who gleefully grant snowmobile entrepreneurs egregious freedom of destruction. It's sad to realize that the wheels of free-market "progress" will one day grind down these unspoiled regions, as they inevitably must. But it's hopeful to remember that Kiwis have a strong tradition of political rebelliousness which has kept them nuclear free and non-aligned. Perhaps there's some chance that this rebelliousness can be translated into a sustained, responsible stewardship of the nation's environmental treasures. Arm-wrestling, as it were, against Adam Smith's hidden hand. Realistic or not, that's a lovely image.